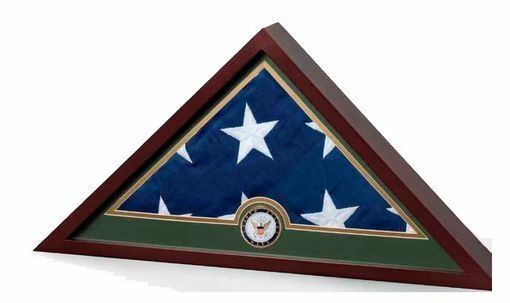 Each case is constructed of richly colored mahogany hardwood that will look beautiful with any décor. The hardwood frame is inserted with thick glass, not acrylic and will not scratch. Each display case can hold a flag up to 5' x 9.6'. 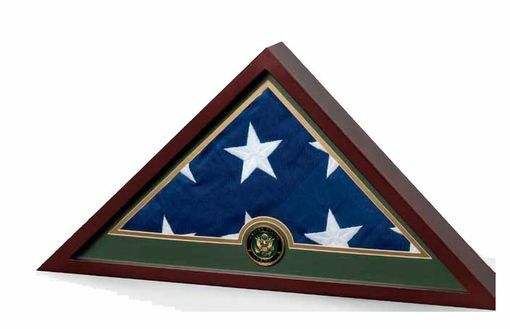 The outside dimension of the Army Flag Frame is 26" x 13" x 3.5" and is embellished with a die-cast, gold plated United States Armed Forces medallion that is centered on a bevel-cut double mat.